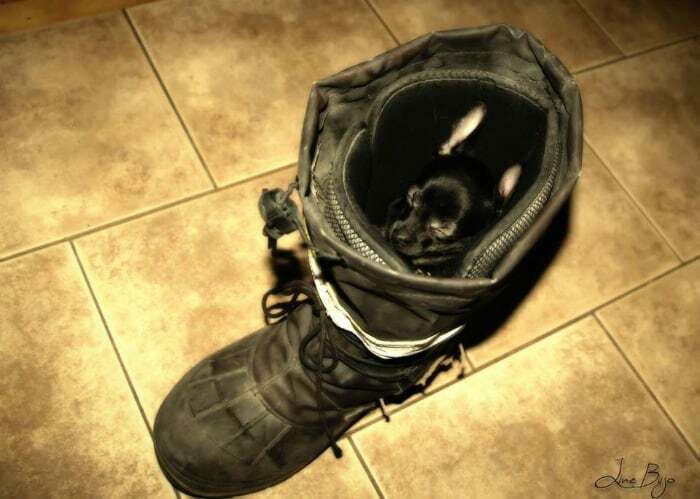 Did you know that black dogs in general are discriminated against? They are more often found in shelters than any other colored dog and are the least likely to be adopted. Why I don’t know. I think black is beautiful! 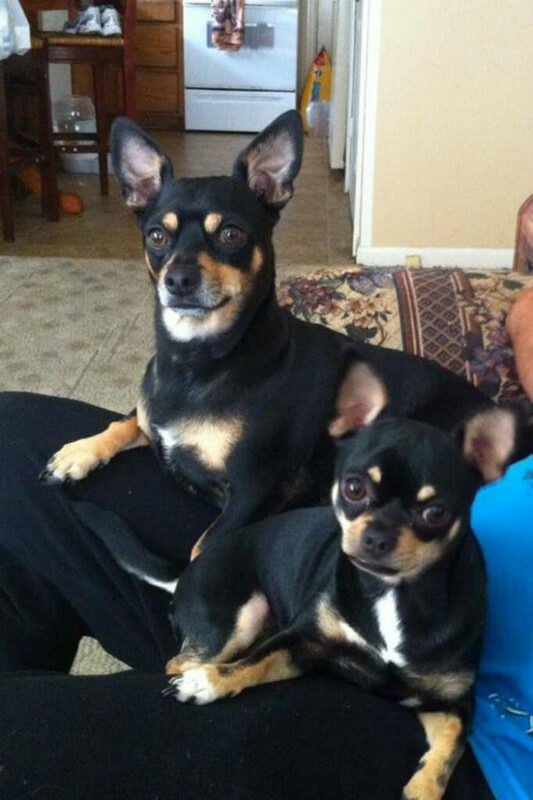 In fact two of my dogs are black, including my Chihuahua Kilo. 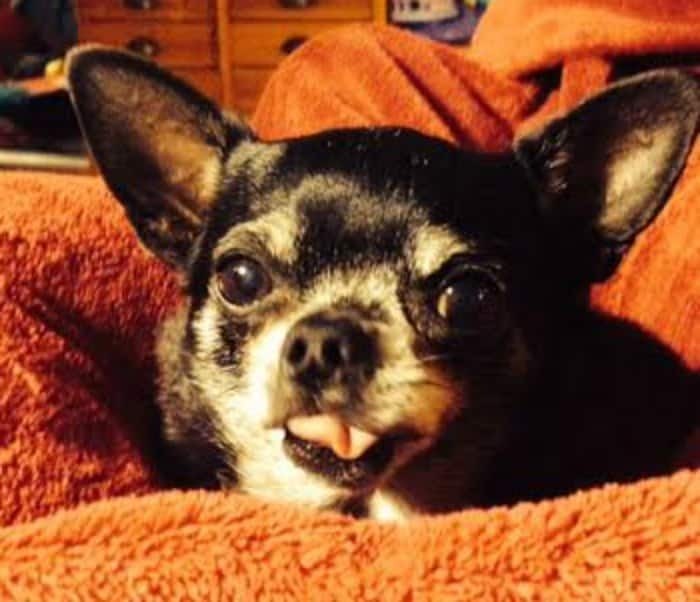 Below you will find my gallery of beautiful black Chihuahuas. Some of them may have a touch of another color in them but the dominant color will be black. Where I know the Chi’s and their pet parent’s name, I’ll be sure to add it under the photo. 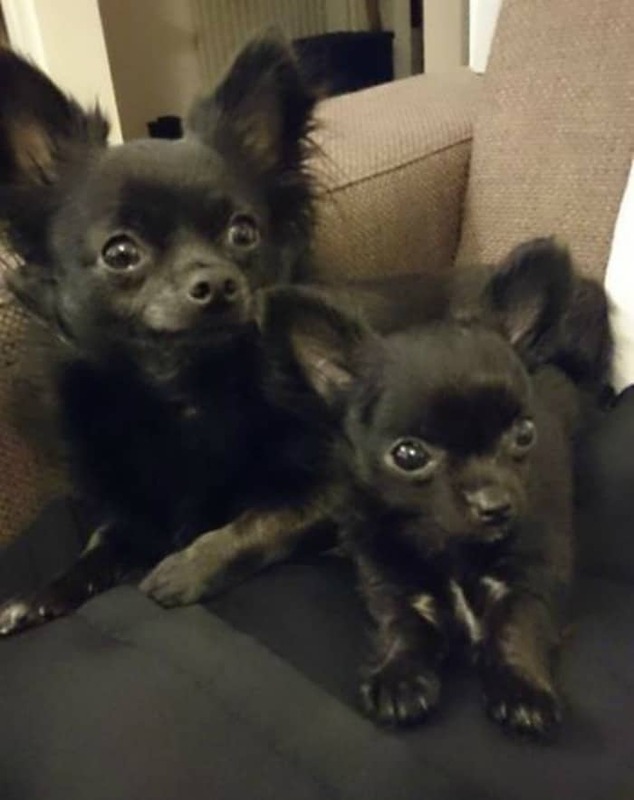 So sit back enjoy some beautiful, lovable Black Chihuahuas! 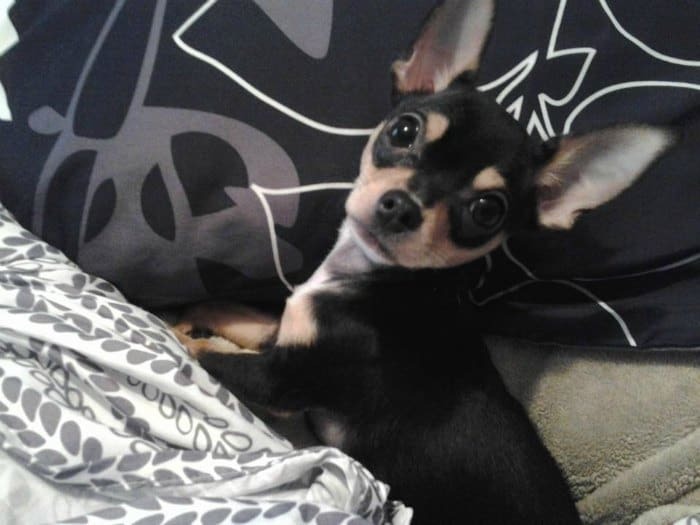 Of course I had to start with my own Chihuahua Kilo. 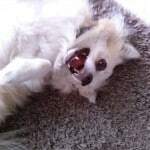 Sadly she has passed now. As you can see she wasn’t completely black. Her muzzle and a little bit of her chest was white. She actually had a little white on her legs too but it was mixed in with black and looked grey. Love and miss my Kilo! 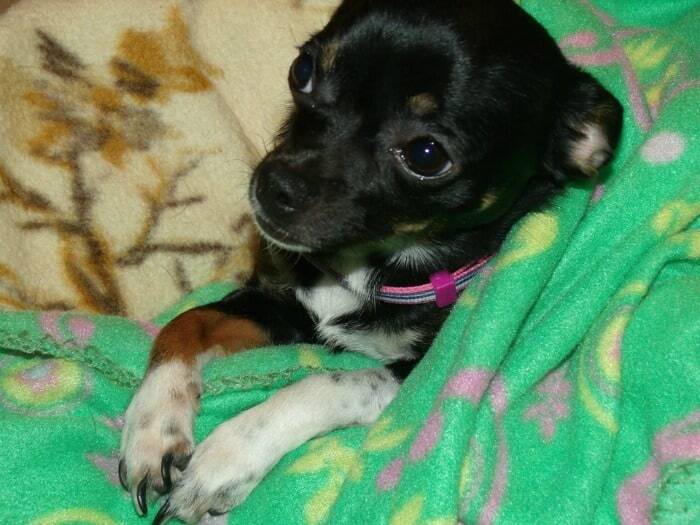 This little beauty is named Nevaeh the Chihuahua and is loved by Tammy Lynn Hill-Hendershot. 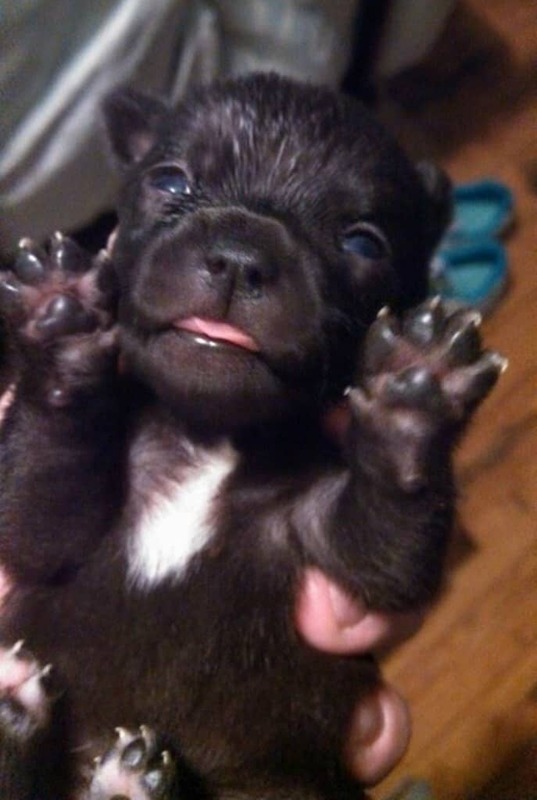 Here’s another Chi that looks to be pure black. 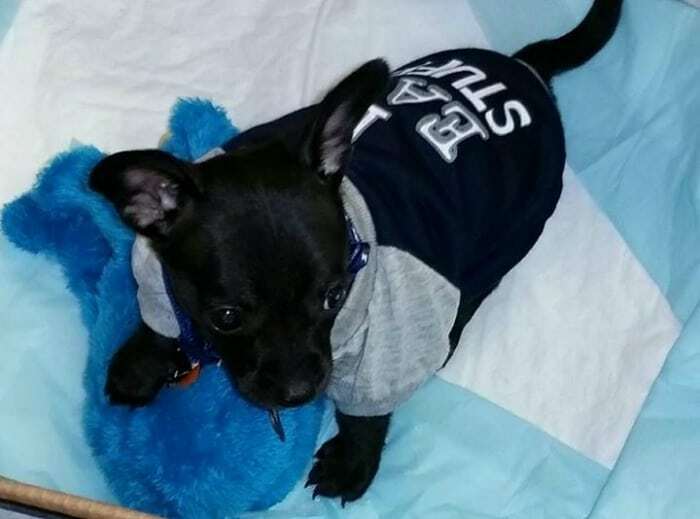 His name is Maxx and his mommy is Adriana Llanas Rivera‎. Aren’t these two gorgeous? This is Emmy and Oscar (cute, huh?) and they belong to Joys van der Weide‎. This little guy looks like he’s a lot of fun, huh? 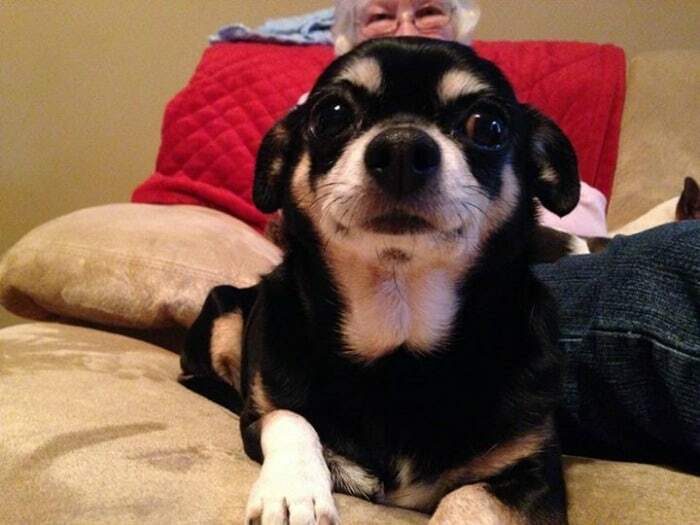 His name is Chico and his mom is Carla Bake. I love the eyes on this Chihuahua.Her (I think it’s a she) is Gypsy. She is loved by Lisa Noyes‎. We have another Max, short for Maximus Prime. Doesn’t he look like a sweetie? His mom is Tatjana Hairston‎. 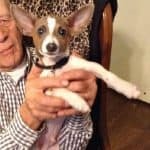 This little Chihuahua is black and white and may have a little tan in him too which would make him a Black Tri-Colored. 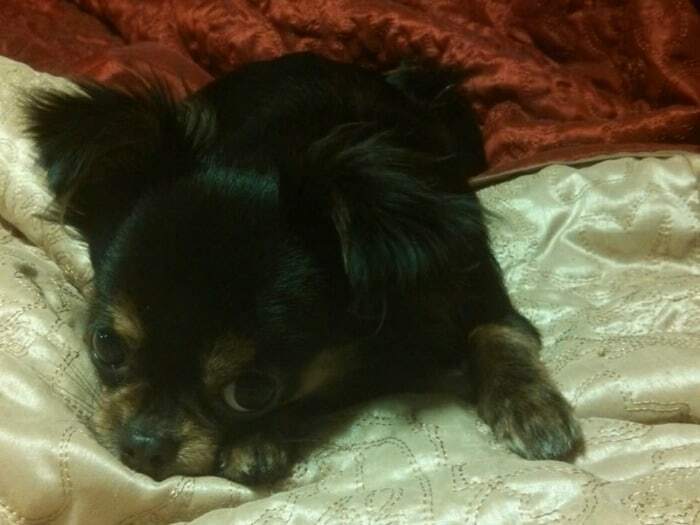 His name is Peanut and his mommy is Tammy Roberts Tighe‎. His mom says he’s a sweet boy but doesn’t like cats. Don’t you just want to cuddle this sweet little long haired puppy? I sure do. 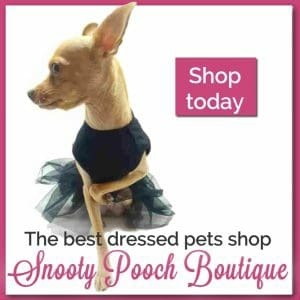 Isn’t this Black and White Chihuahua striking? I don’t know his or her name but the pet parent is Bern Muniz. This cutie pie is Pasha. That’s all the information I have about him or her. I don’t have any info on this sweet little girl, but she looks ready for a ride in the car. 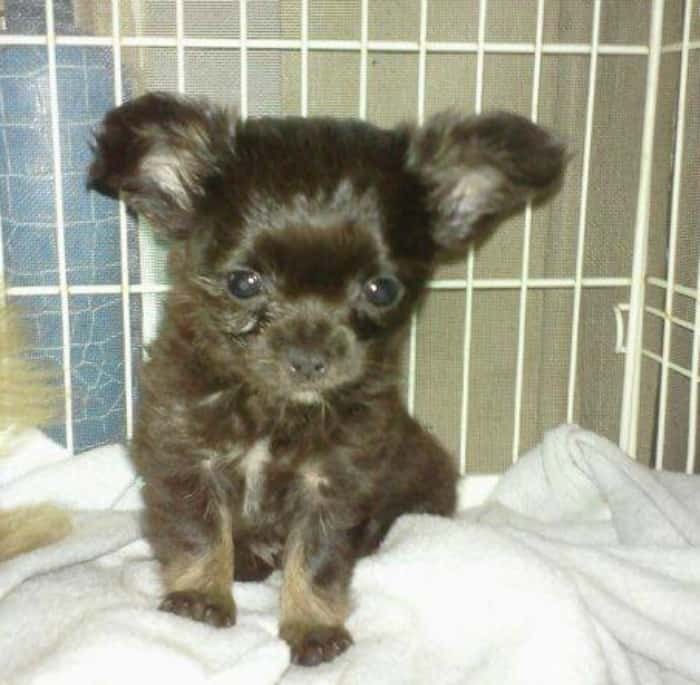 This is a Black and Tan Long Haired Chihuahua puppy named Snickers. Precious! 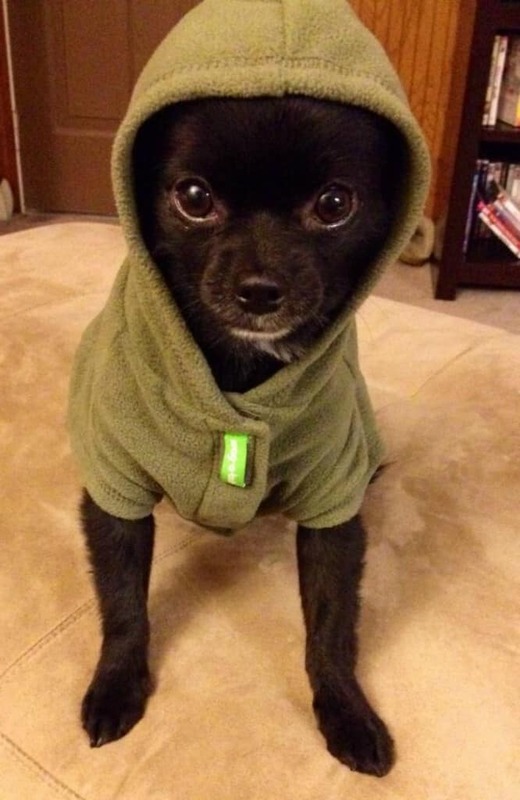 I don’t know anything about this little Chi but I love how his/her eyes seem to look into your soul. 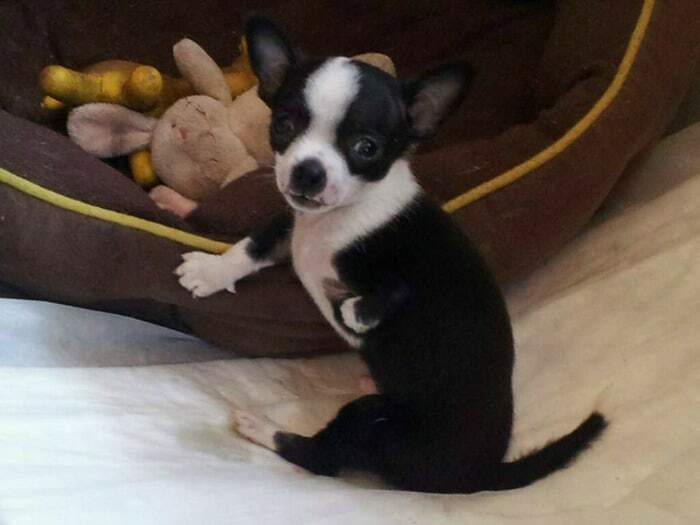 This gorgeous little black and white Chi is named Harley. Love that smile! This is Little Miss Lollie Pop. 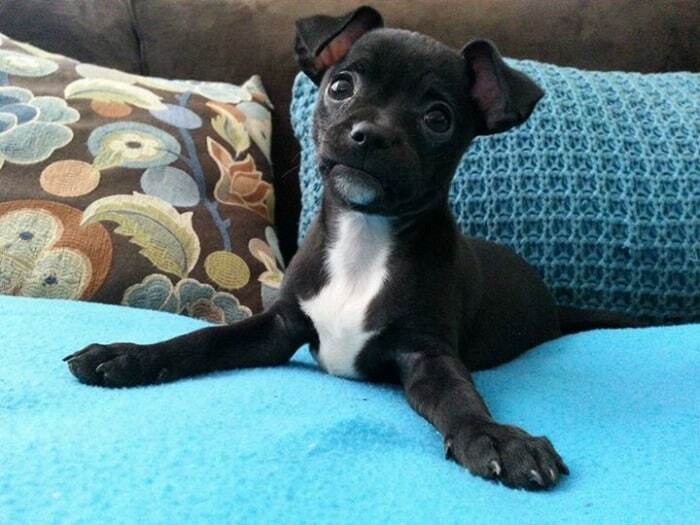 She a Tri-color Black Chi. See the tan leg there? That’s where the third color comes in. 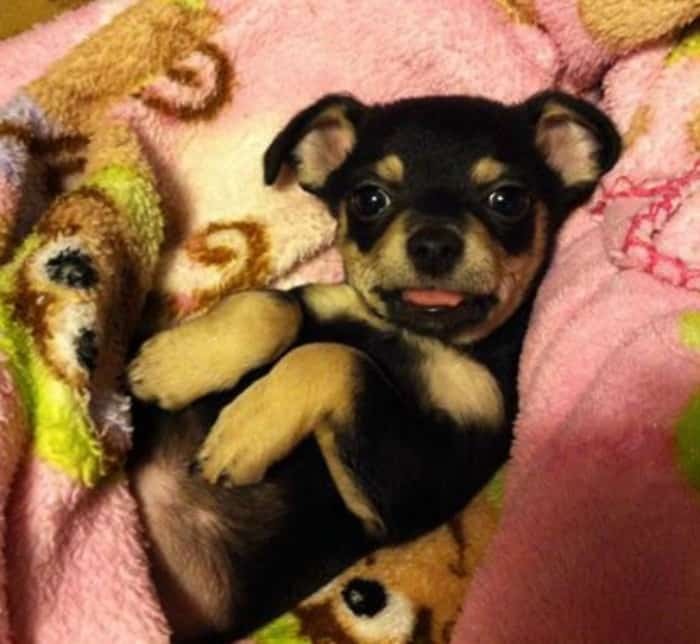 This perky little pup is named BJ. What a cutie! 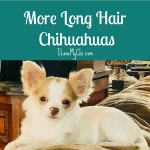 This gorgeous long haired black and tan Chihuahua is named Luna Star. Look at those beautiful eyes! 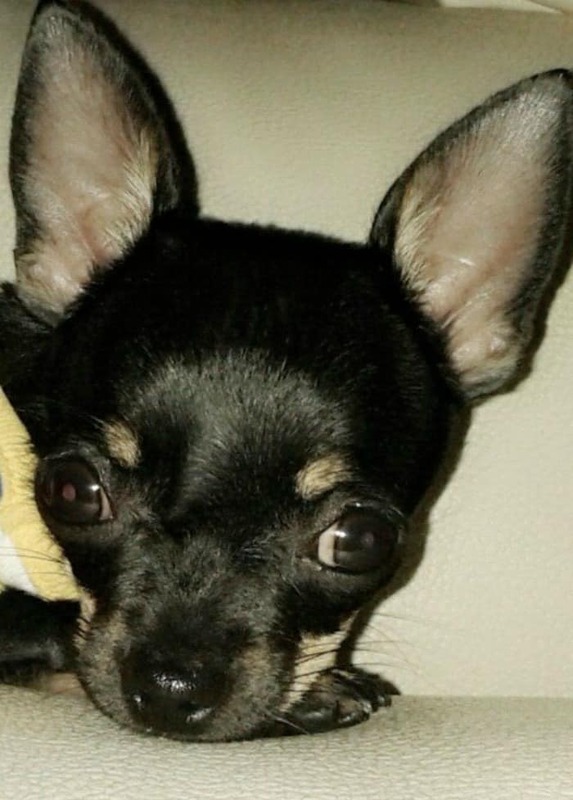 This gorgeous pure black Chihuahua is appropriately named Blacky. 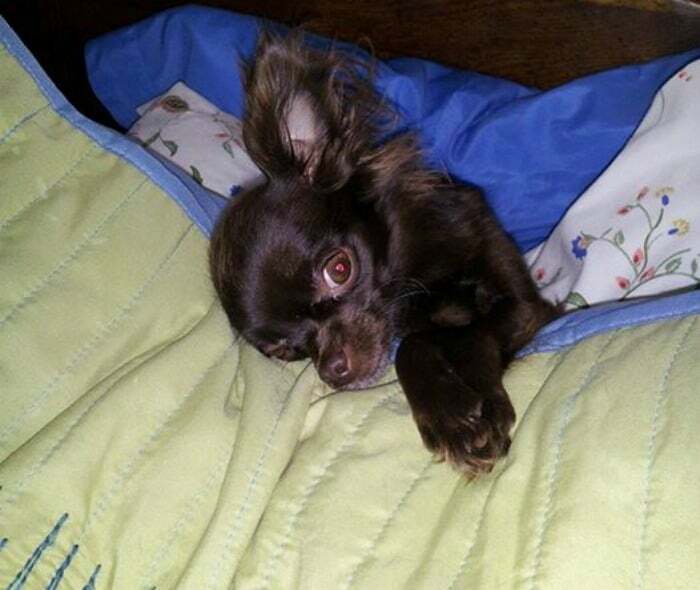 Pretty little long haired Chihuahua looks like she isn’t ready to get out of bed yet. I don’t know anything about this little guy but doesn’t it look like he’s saying “Play with me!” ? 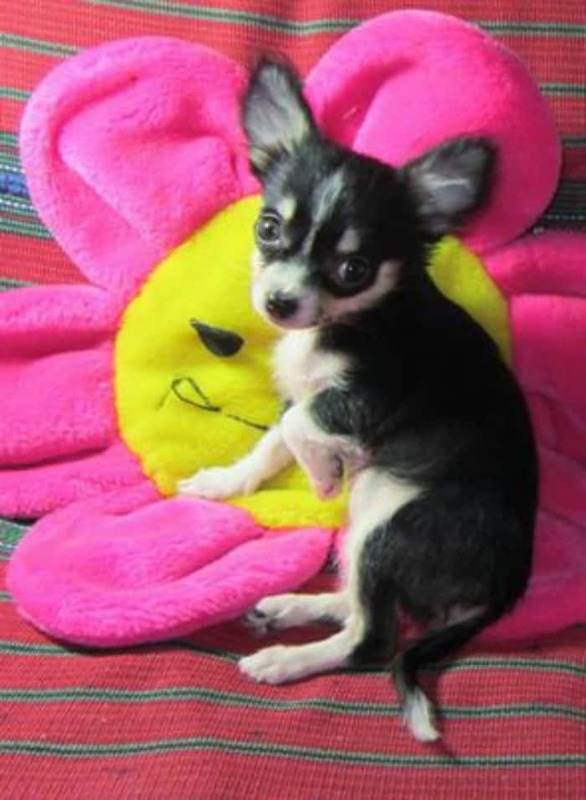 This cute little Black and White Chihuahua is named Pandy. 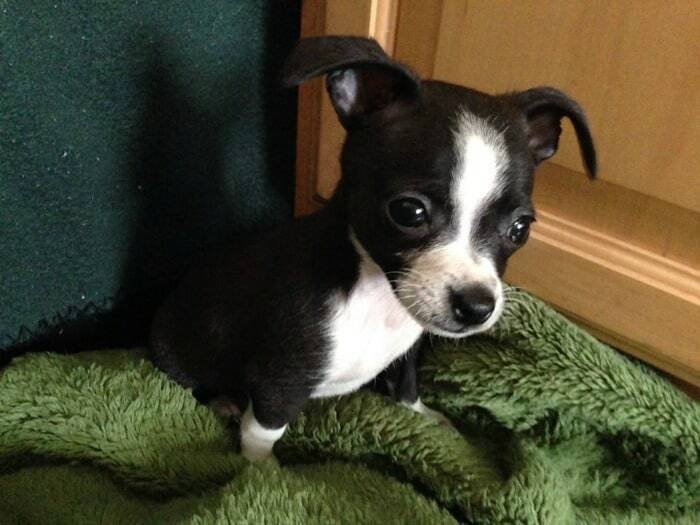 This cute black and white Chihuahua pup is named T-Rex. Somehow it’s appropriate and funny too. OMG! Look at this cute adorable baby! 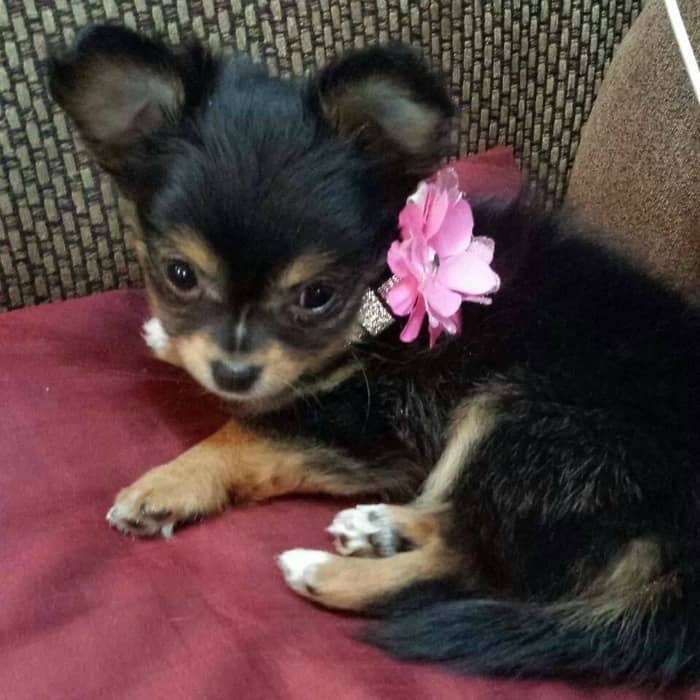 This pretty little Tri-colored Chi belongs to Lorna Nugent. Black and tan Louie looks ready to play. These handsome lads are Killer and Diesel. Can you find the Chihuahua? Pretty eyes! Love this little guy! This tri-color boy is named Charlie. So that’s our gallery of black Chis! Hope you enjoyed it! 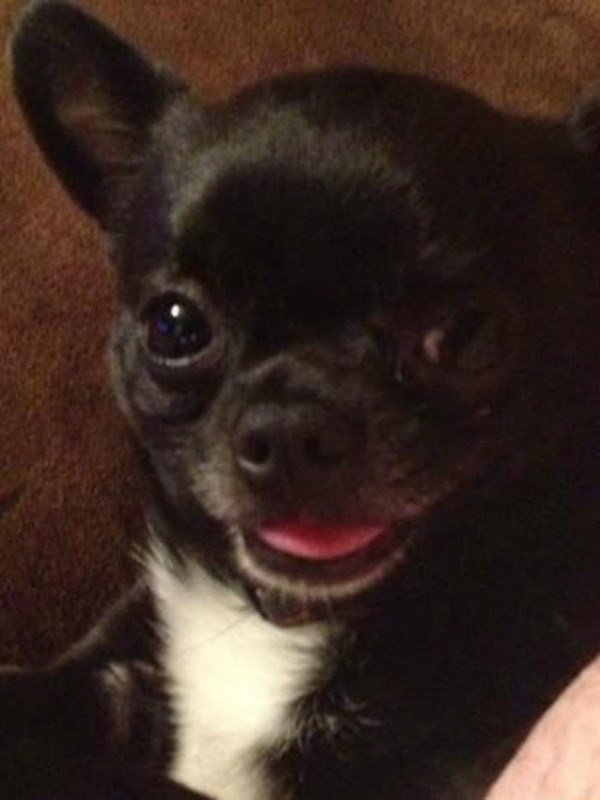 I have a beautiful black chihuahua named Bella. She fills our hearts with love and joy. She’s beautiful Leanne! I’ll have to add her when I do part 2 in a few months. 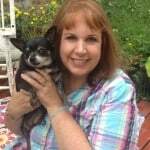 My tri Chi is named Missy…she is a rescue…and the sweetest, best dog I have ever loved…and I have loved many. She looks like a sweetie Ann. I’ll add her too when I do part 2 of this post. 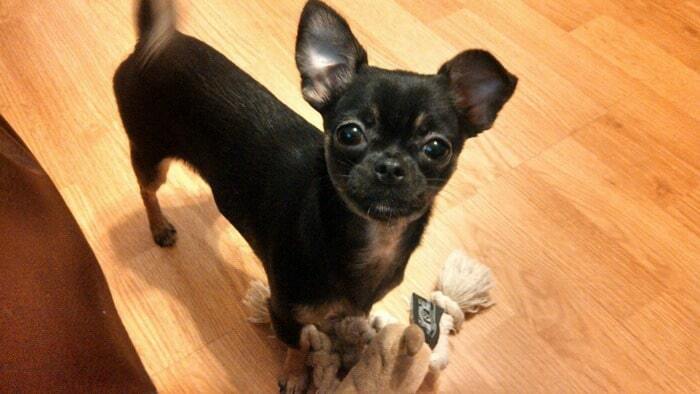 Hi Cathy thanks for sharing out so many beautiful black chis photo. 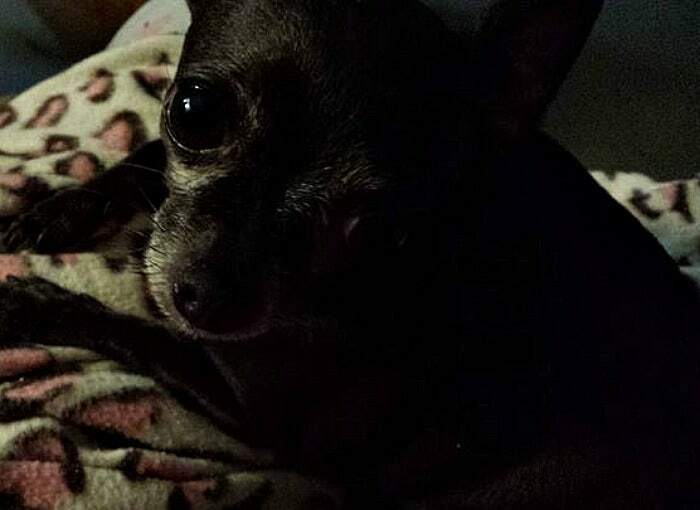 I have a black chis too , her name is mimi. I would like to share out one of her beautiful photo to you. Awww,Mimi is a beauty Serena! Simply PAWdorable 🙂 Nice to meet you! I got a black pug! I actually think black pugs are cuter than tan ones! Hmm, I’m not sure why Michelle. Others are able to post on here so it’s not broke. You can always email me your photo at cathy@ilovemychi.com if you want. I have a black bulldog myself. I have had that thought, if she were in a shelter would my sweet girl be passed up? All of those pups are just darling! Sad to say Katherine but odds are she probably would be passed up. They are all so beautiful! I don’t know why people discriminate against black pets. Black cats have a difficult time getting adopted too. I think there is some strange cultural hold over from the middle ages or something. Yeah I know the bias is against black cats too Robin and it’s so unfair. I’m glad you are drawing attention to the issue of black pets not being adopted from shelters. I don’t understand why it is such a problem. You’d think people would realize that if you wear dark colored slacks, the fur doesn’t show as much! Yeah I don’t understand the bias either Vicki. Black pets are just as lovable and wonderful as any other color. She’s a cutie Angela! Kilo is getting greyer as she gets older too. 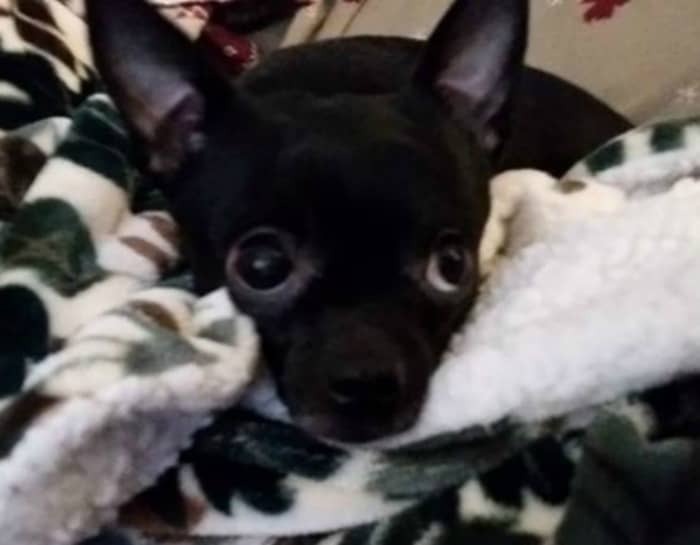 This is my black Chi, Violet. She is precious and her ears are my favorite! I adopted her from the Humane Society in 2013, she is almost 2 years old. Violet is beautiful and so is her friend! 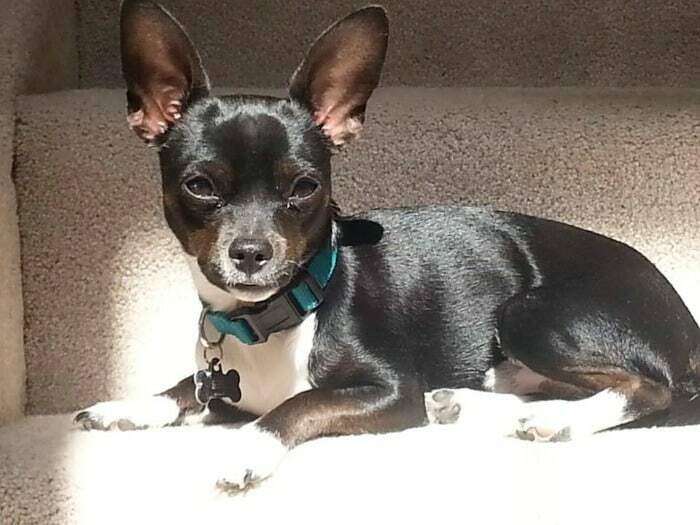 I wanted to share my black Chi Chico. He passed from my life last month and I still miss my buddy. He was 18 and a rescue and had a very full life with me. For sure black is beautiful although when the gray shows up it can’t be topped. In memoriam to Chico. 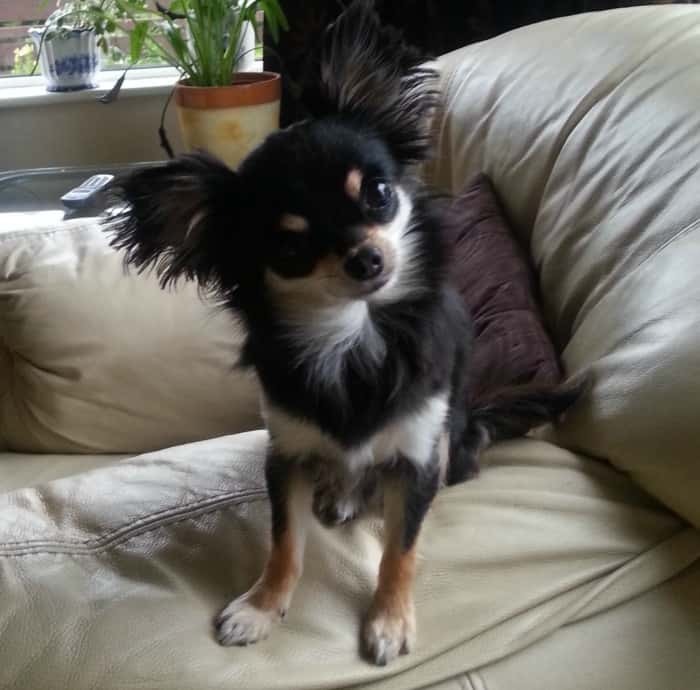 RIP little Chico! He was a cute little man. So sorry for your loss Dennis. I love the way Chico aged! My little sweet Henry (tan and white) was the best little baby I have ever seen and when the grey began to show up, I was very sad. He had to be put down this past Feb. He had a neurological problem for which there was no cure, so I share the grief you feel now. I have two new little babies, Rosa female black with mostly dark reddish tones and my sweet William who is tan and fawn. I love them so much but they cannot take the place of Henry. I am sorry you are hurting but there is another baby waiting for you someplace. Good luck to you! Kilosmom, Thanks for letting me share. You’re welcome Dennis. Feel free to share anytime you want. Thank you!!! He’ll be a year old in two weeks! I’m just in love! He has definitely stolen my heart! He’s a cutie Debbie. Kilo used to be all black too but is getting a lot of grey in her too. I really like black ones too Lazar. I agree, black chis are my favorite, too! Young or old, Frito was handsome! She’s a cutie and I love her name. 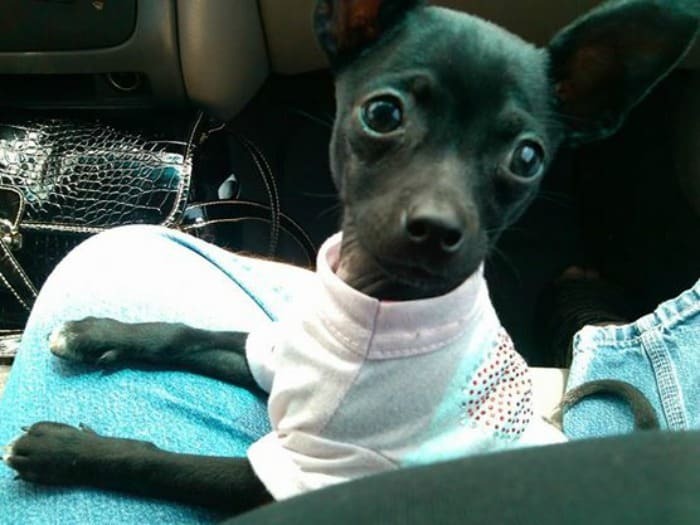 This is our addition to our family – our black Chihuahua named “Muttley”. He’s such a joy for us and just turned 1-year old in August. He’s my new Baby! I love his little face Gwen. This Black/tan girl is Lady Midnight; she’s a working actor with more than a dozen films, 6 music videos and a fashion shoot, on her CV. She appears often on UK TV shows, and loves (and is loved by) everyone she meets! I count myself truly fortunate to have been chosen by her—yes, out of a litter of 4, SHE was the one who chose ME!! Wow we have a celebrity in our midst! I really love the black chis with a tiny bit of white, like Kilo. I would still be looking for one if we had not found Pinto Bean. The black is beautiful. I don’t know why a person would pass one up in favor of another color. I never understood why there was a bias against black chis either Dixie. They are beautiful! 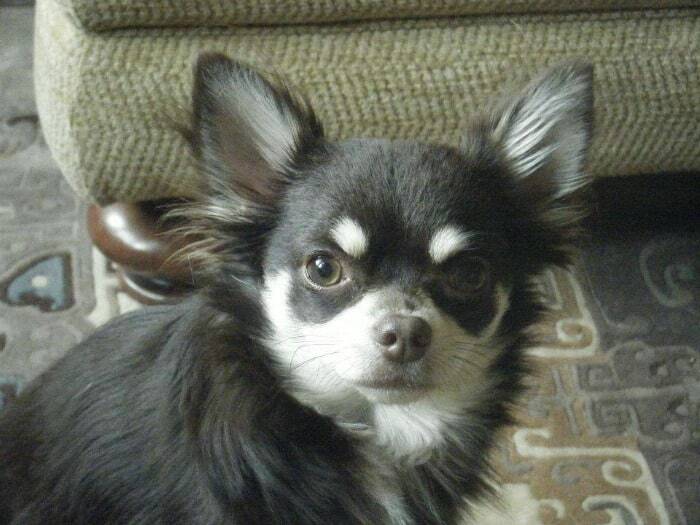 I have a beautiful black and white chihuahua. His name is Diego, he is 4 years old, longhair. 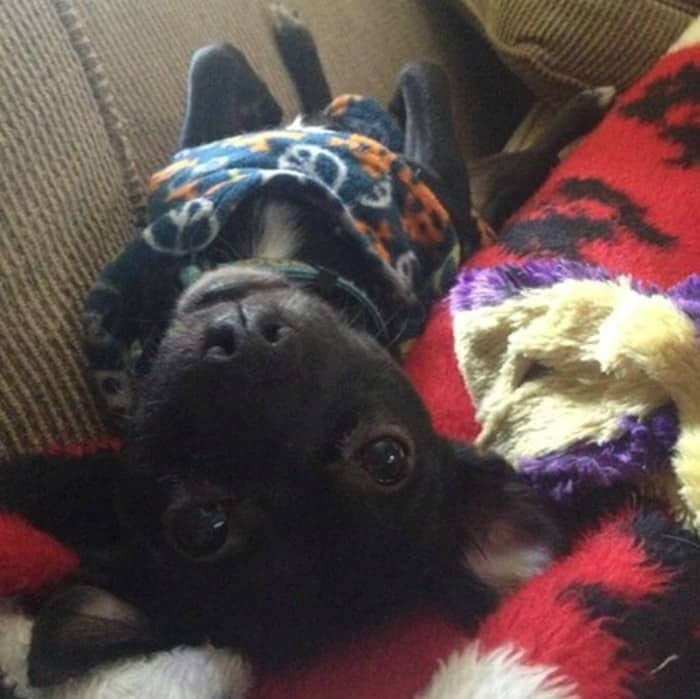 Diego is certainly a beautiful Chi and what a perfect little face!! I would certainly love to have a Chi like him. Thanks for sending his pic, it is always a lot of fun to see the pics. Sending one pic of my puppys, William and Rosa. 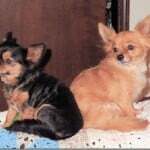 The pic of William did not come through but here my puppys are looking so sweet when they were a little younger. It’s been 2 months since nemo passed away.I miss him so much . I’m so sorry Peter. I know how hard it is. Nemo was so cute. Oh, Peter, I am so sorry for the loss of Nemo and the pain you feel. I know that pain all too well. Nothing hurts our hearts quite like the loss of our fur babies. We need a lot of time for grieving and missing our little babies! Nemo was so beautiful. Thank you . I loss the love of my life. I just got my best friend back .nemo is home again .Happy New Year. Peter, I do not understand how you got your best friend back if Nemo passed two months ago. 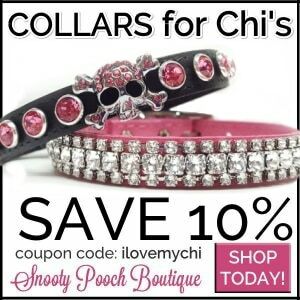 Did you get a new Chi baby? If you did then congratulations on the new Chi pup and the new best friend will help a lot in lessening the loss. Send us a pic of your new best friend, would love to see it!!! Dixie, I think he means he has Nemo’s ashes back. I’m glad he’s back Peter. Happy New Year! I did not know that, but it is very good to have the ashes now. I was so happy to get Henry’s ashes and Irene’s ashes. It sure helps to have the urn where you can see it. Peter, I am so glad you have Nemo’s ashes and have a very safe and very blessed NEW YEAR!! I got nemo preserved. Want to see pictures? I would love to see pictures!! I have sent these pics before but I will send them again for you, Peter. My sweet HENRY , MY LITTLE POP OF PERSONALITY and lovely sweet lady IRENE, I LOVE YOU, MY SWEET BABY GIRL. Looking fwd to seeing the pictures! That urn holds Irene and this one holds Henry. Oh, how I did love them and miss them both everyday! Peter, yes, please send pics. I would like to see how he is preserved, cremated and the urn his ashes are in. Thanks in advance! Have no pictures at this time. 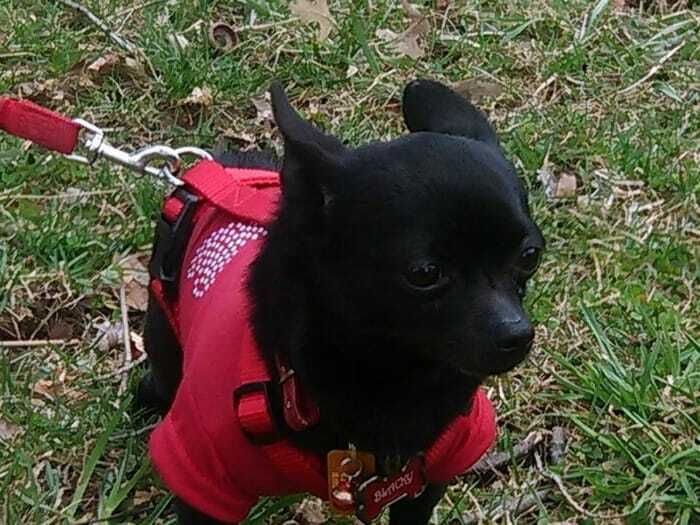 My little chi is black,he just so cute his name is Jack . I bet he is cute Earline. I like the name Jack for a dog.